This Handbook contains everything you need to know about this cultural immersion Secret Compass expedition to Siberia. Arrive: by 1700 on Mon 25 March 2019 at the team hotel (Domodedovo Airhotel close to the airport). Depart: leave Moscow any time from 1800 on Wed 10 April 2019 onwards. Balance due: 90 days before departure on 26 December 2018. The aim of this culturally immersive expedition is to live and travel with Siberia’s Nenets nomads on their epic annual reindeer migration within the Arctic Circle. 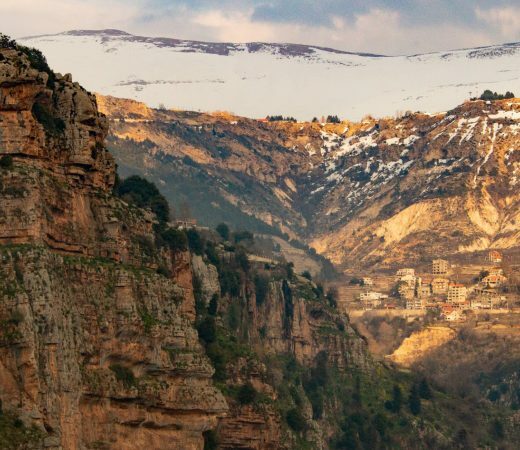 This journey offers cultural immersion of the highest calibre. Teammates will totally embed themselves with their hosts, wearing what the Nenets wear, eating what they eat and sleeping in their conical reindeer-hide tents called chums (pronounced ‘chooms’). This is a rare opportunity to experience the unstaged reality of nomadic life out on the remote, frigid and unforgiving Yamal Peninsula. Twice a year the Nenets of the Yamal Peninsula migrate their reindeer for 60km across the frozen Gulf of Ob, a bay of the Arctic Ocean. This intense migration can take up to 24 hours, with the team keeping pace in all-terrain vehicles and sledges. With no pasture along the way it’s a race to get to the other side before the reindeer become too weak from lack of food. There will be no breaks for the herders, the vehicles, the animals or for you. The crossing of the Gulf is a highlight of this expedition, after which lies the promise of the annual Reindeer Herding Festival in Yar Sale. The festival is a chance to witness extraordinary events such as reindeer racing and traditional sports. Cross a frozen gulf on an epic reindeer migration. Experience the Nenets nomads’ unique way of life. You need to organise your own international flights. We have a unique partnership with Student Universe (a specialist division of the Flight Centre Travel Group and no, you don’t have to be a student to use them). The dedicated Secret Compass team understand the nature of our trips and our destinations and use global buying power to save you money and offer security along with a 24-hour assistance helpline. Fill in a free, no-obligation Flight Request Form here or call (UK) 0844 560 9799 for assistance in booking international flights. It is advised that you book a flexible flight ticket that can be changed or refunded if the expedition dates are changed or if it is cancelled for any reason. See our online Terms and Conditions. You need to be at the team hotel, close to Domodedovo Airport in Moscow by 1700 on the 25 March 2019, and the expedition officially ends on arrival back to Moscow on the 10 April 2019 at approximately 1100. If you are planning onwards travel today, please ensure you allow enough time for flight delays, collecting baggage and to transfer between domestic and international terminals or airports. To avoid any concerns over delays we recommend not booking flights to depart before 1800. Please note, as with many major cities around the world, there are three international airports in Moscow: Domodedovo, Sheremetyevo and Vnukovo. It can take several hours to travel between them. The domestic flights to Salekhard included in this expedition depart and return to Domodedovo Airport and for ease we’d advise you to book your international to and from here also. You may need an authorisation letter (visa support letter) to apply for your Russian visa. These are usually processed in one working day through agencies such as VisaMachine and RealRussia – the information you provide here must match your visa application. Visas are your responsibility. Guidance is given below for British Nationals residing in the UK, for all other nationalities, please check your specific requirements. A comprehensive guide on visas and application letters will be sent out by Secret Compass nearer departure. All applicants in the UK must apply in person and submit biometric data (scanned fingerprints) to the embassy. Fill out an online application through VFS Global, a company that processes applications on behalf of the Russian Embassy in London. Please click here to go to their website and follow the instructions carefully. You will then need to print out the application form and submit it IN PERSON to the processing centre, along with the supporting documents and biometric data. Applications take a minimum of 5 working days to process and there is the option for the embassy to return your documents by post for an additional fee. Due to the requirement for biometric data for some nationalities, visa service companies may not be able to submit an application on your behalf. All relevant tourist permits will be organised by Secret Compass. You will receive a request for information from Secret Compass in late November/ early December 2018 at the latest. This will include a passport copy, work title, address and phone number, home address and phone number, entry/exit points of Russia. You should have a passport valid for the duration of the expedition and your travel dates. Please send a clear, colour copy of your passport to Secret Compass before the 1 January 2019 and carry photocopies with you on the expedition in a safe place. The itinerary detailed below has been created following the usual pattern for the reindeer herders festival, which suggests that the event would fall on the 6-7 April in 2019. Occasionally the festival has been brought forward by a week at short notice. Should this happen in 2019, the following expedition itinerary covers both weekends and will remain flexible as to whether the bulk of the migration will occur before or after the festival. Arrive at Moscow’s Domodedovo Airport and transfer to the Domodedovo Airhotel. The hotel is just a few hundred meters away from the airport and provides a free shuttle service. The expedition officially starts with a expedition briefing and dinner in the hotel at 1700, before getting a few hours sleep ahead of the flight to Salekhard. Early breakfast at the hotel before your 0300 Flight from Moscow’s Domodedovo Airport to Salekhard will kick off a long day of travelling. You’ll then transfer to Trekol all-terrain vehicles at Salekhard airport for the 7 hours drive along the frozen surface of the River Ob to reach Yar Sale village. Snacks on the way, dinner upon arrival. After breakfast, the team will collect local clothing before travelling in wooden box sledges attached to snowmobiles from Yar Sale to the nomad encampment in the heart of the tundra. From the moment of arrival at the settlement, all meals will be with the nomadic families. The team will join in with daily life amongst the reindeer herders. Every few days the Nenets will move onto fresh pastures, dismantling the chums, packing sledges and rounding up the reindeer. When the conditions are right, the extended family of nomads will decide to make the full crossing of the Gulf of Ob, this must be done in one go as there is no forage for the reindeer on the frozen surface. Depending on the weather conditions and terrain, this crossing has been known to take up to 24 hours. The team returns to Yar Sale (and the luxury of showers) on the snowmobile-drawn sledges. Dinner in the hotel. The Reindeer Herder festival – reindeer herders from many different camps will gather in the Yar Sale village to take part in traditional sports such as reindeer sledge racing, Nenets wrestling, sledge jumping, stick tug-of-war, lassoing and so on. For relatives living in camps whose migration routes do not cross, this is the one time of year they get to see each other as well as an important opportunity for young people to look for potential spouses. You’ll spend two days at the festival, soaking up the atmosphere and watching the activities. Today, get back into Trekols for your journey back to Salekhard across the frozen surface of the River Ob. Breakfast at the hotel. Today serves as a contingency day in case of bad weather preventing travel from Yar Sale. It’s also a great opportunity to re-acclimatise before your return to Moscow. The team may choose to visit some of the town’s excellent museums, the 16th century fortress of Obdursk or visit the market square where you can find a selection of crafts and furs. Breakfast in the hotel. Transfer to Salekhard airport to arrive at Moscow Domodedovo around 1100. The expedition ends on arrival back to Moscow. If you are planning onwards travel today, please ensure that you allow enough time for flight delays and to transfer between domestic and international terminals – this will involve collecting and re-checking your luggage and clearing security. Secret Compass expeditions are achievable by anyone with a healthy lifestyle and a good level of general fitness. The biggest challenge on this culturally immersive expedition will be dealing with the Arctic weather conditions, the unusual and limited diet and the totally different lifestyle. There will be long days of travel in sometimes cramped and uncomfortable wooden box sledges. Though teammates will help around the camp, there’ll also be down time between migrations. Teammates who arrive without meeting the agreed minimum fitness requirements can jeopardise themselves and the expedition’s success so do take training seriously, prepare as appropriate and arrive fit and ready to go. Teammates must be comfortable with the following. Strength: help to carry water, chop wood, push sledges, put up chums. Snowshoe: there may be chances to snowshoes around camp. Climate: deal with temperatures down to -40C with howling Arctic winds. The standard currency in Russia is Roubles. US Dollars can be changed easily at Domodedovo airport. There are plenty of ATMs in Salekhard on your return but we recommend taking cash for Yar Sale with you from Moscow. This expedition is all-inclusive so you won’t need much cash except for buying beer and souvenirs along the way. Salekhard has a number of museums, markets and shops (boots, furs etc) so it may be worth budgeting for a little shopping or sightseeing. Unlike many Secret Compass expeditions, the major challenges of this expedition is mainly one of cultural immersion rather than physical exertion. Previous experience with the Nenets has taught us there will be plenty of down-time during your stay, with many lengthy journeys made in vehicles or on sledges rather than on foot. The biggest challenges of this expedition are the cold conditions and the unusual diet and lifestyle. You should be prepared to join in with camp chores and daily life, be comfortable moving about uneven terrain and carrying loads around camp. It is not unusual for the herders to travel in cramped box sledges for over 24 hours during the final migration across the Gulf of Ob with smaller, regular migrations still taking several hours with few chances to stop and stretch your legs. The Nenets do not migrate every day so some time will be spent in camp where you have the opportunity to quiz your hosts about their culture, history and lifestyle. You must be prepared physically and mentally for the expedition and for living in basic conditions for its duration. Please ensure that you are prepared for this expedition and send any questions to Secret Compass. You to Home. Secret Compass will have satellite phones for emergency use only and these cannot be used for personal messages home unless in extremis. Please reassure your family that we have their contact details (NOK information provided on your Booking Form) and that no news is good news. Cell Phone. Your mobile roaming may work in towns but expect the signal to be intermittent. The Moscow hotel has Wi-Fi and a business centre. 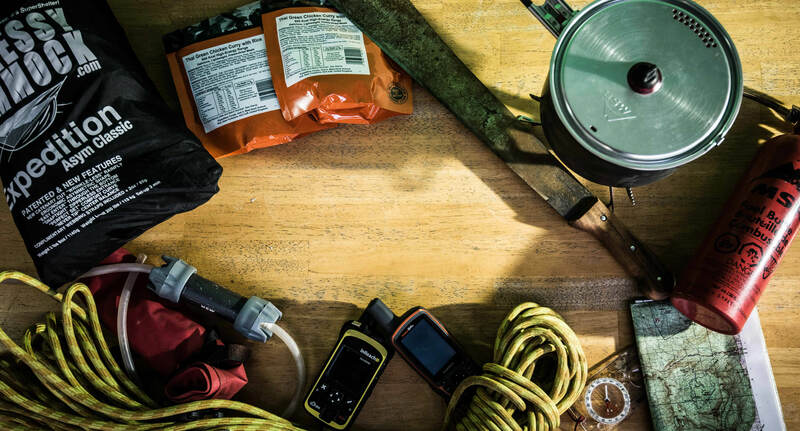 The following is the Secret Compass recommended kit list for the 2019 expedition to Siberia. Some items are essential so please read carefully and direct any questions to Secret Compass. Suggested products and technologies are included at the end of the kit list. These items are a guide only – you do not need to purchase these exact products although we have mentioned tried and trusted brands. Although you will be provided with traditional Nenets jackets and boots for the majority of the expedition, you will need your own extreme cold weather clothing (see advice below) for travelling in and to wear during the festival. Please see the bottom of this kit list for extensive clothing advice and contact Secret Compass with any questions. RUCKSACK/SOFT DUFFEL BAG: 120 litres maximum for storing your personal equipment during the migration. Essential kit such as sleeping bags and boots will be kept with you at all times. LOCKABLE BAG (optional): A small bag may be left in Yar Sale with clothes for the festival/travel. SLEEPING BAG: Rated to at least a ‘comfort’ of -40C and in a waterproof stuff sack. 1 x INSULATED TROUSERS: Chest-high/Bib-style insulted trousers with drop seat – see ‘Insulated trousers’ section below. 2 x THERMAL BASE LAYER: Top and bottoms – synthetic or merino wool. NO COTTON! 1 x MID LAYER (optional): Fleece or equivalent, layers are key in maintaining a comfortable temperature on the tundra. Reindeer hair is incredibly hard to remove from fleece items so don’t bring new or hired fleeces. 1 x DOWN JACKET: Expedition quality – please see your detailed kit information below. 2 x HIKING SOCKS: Warm and comfortable, consider wool. 1 x WARM BOOTS: Insulated boots with a sturdy sole and good grip. Make sure they fit well with your socks and are comfortable. Baffin or Sorel type. BALACLAVA: Raised above the nose and mouth to stop it freezing from the moisture in your breath. WATER-PROOF OUTER GLOVES: With reinforced palm if possible. 2x UNDERWEAR (optional): Lycra sports shorts don’t chafe and dry quickly. WATER BOTTLE: Insulated water bottle – or normal water bottle in insulated sleeve. We will provide thermoses for the team on travel days. SNACKS (optional): Snack bars, trail mix or similar to supplement and for long days on migration. Items containing prunes or fibre are recommended. WASHBAG, TOOTHBRUSH & TOOTHPASTE (optional): Ensure it breaks down small. You do not need a large travel washbag – sealable freezer bags or a small dry bag work well. SANITARY PRODUCTS (optional): Bring a supply of perfumed nappy sacks as there will be nowhere to dispose of used items until you return to Yar Sale. ANY MEDICATION YOU NORMALLY USE: It may be useful to find out the generic/chemical name for the medication in case you need to source more in country. Please also check whether your particular medication is legal in your destination. KNIFE: For eating and camp chores (around 10cm). Remember: DO NOT pack in hand luggage. CHEMICAL HANDWARMER: Enough for one per day whilst on expedition. Not the type which need boiling to re-activate. These will be worn next to your skin and perform 2 main functions; insulating you and wicking moisture away from your skin to keep you dry and warm. Synthetic baselayers tend to be thinner and cheaper, good at wicking moisture but they don’t offer as much warmth as wool. A more detailed comparison can be found here. Icebreaker merino wool. Merino is softer than ‘traditional’ wool and naturally anti-microbial (meaning it won’t start to smell!). They offer different ‘weights’ of clothing – this is basically how thick and therefore how warm the layers are. The bigger the number, the more wool is used in each metre of fabric. Another brand offering merino wool baselayers is Smartwool – these are thinner and lighter than the Icebreaker equivalent but they do excellent socks (make sure they fit with your boots – if your socks are too thick your boots will feel tight and you’ll restrict blood flow). If you are not a fan of wool next to your skin, try the Helly Hansen Warm series – this combines their synthetic wicking layer ‘lifa’ with a merino outer coating for the best of both. This may smell a bit more over time in comparison to the pure merino options but with everyone in the same boat no one will comment. Also consider Rab MeCo (merino and polyester blend) or silk (SilkBody). Mid layers for both top and bottom will be essential. These can be a second, thicker layer of merino wool or a fleece layer. Many brands (including Rab, North Face and Marmot) use Powerstretch in their products. The result is a stretchy, fairly close-fitting fleece that is great for layering. The close-knit outer surface means it slides easily when putting extra layers on top whilst in its own right it helps to cut wind and keeps you warmer than a traditional fleece of the same weight. Normal fleece can also be used as a mid-layer but look for at least 200weight (not a ‘microfleece’). A 260gm or 300gm merino layer is another option for a mid-layer, just make sure it’s not too tight on top of your baselayer. A down jacket is essential. A normal ski or casual down jacket simply won’t be warm enough, especially whilst travelling when activity levels are low. You need to be comfortable at -40°C which means it will need to be an expedition quality down jacket – check the label carefully for the down quantity. This is literally how many kg of down feathers are in your jacket and the down fill (the quality of the down, the higher the better as this will dictate how much the down ‘lofts’ and traps air – therefore heat). Standard is around 700/800 and 900 or even 1000 is available at a premium, though keep in mind USA and European measurements sometimes vary. Invest in a dry bag to protect your down jacket when you’re not wearing it – if it gets wet the down will clump and lose the insulating properties. If you dislike using animal products or are allergic to down, synthetic options are available but much harder to come by, much heavier and don’t pack as small. The Annapurna jacket (Cho Oyu is the ladies equivalent) from Mountain Equipment has been a staple of polar travel for years – make sure you can fit your other layers underneath it without restricting the loft of the down jacket. It is designed with a low cut back to protect you whilst sitting and walking. Rab offer a selection of down jackets, avoid anything ‘microlight’ and go straight for the expedition offerings like the Batura, Andes or Neutrino Plus. If you want a jacket that is perfect for you – PHD offer a custom-build jacket. You can choose your down fill (900 fill is available), body and arm length, zip type, hood etc. Great if you envisage yourself using the jacket again and struggle to fit a standard offering. For super warm insulated trousers check out the Fitzroy or Prophet from Mountain Equipment. These are bib-style insulated trousers with reinforcements at the ankle and bottom. For cheaper options you can look at insulated, water resistant salopettes – these need to be a bib-style, chest high design and big enough to wear both your base layers and mid layers beneath them without the fabric pulling tight across your leg (this can lead to a condition called polar thigh which is very unpleasant). Insulation in this layer is essential so avoid only waterproof ‘shells’. Side zips or a drop seat make bathroom trips easier as you don’t have to battle all of your layers. For the ladies, it may also be worth checking out a shewee. As with everything else, these boots must keep you warm at temperatures as low as -40°C. Hiking boots or ski boots are not suitable. The key to these boots keeping you warm is not having them tight fitting. Please be aware that if you have poor circulation and often have cold feet then it’s worth investing in boots that suggest a -70-100 rating as they often over compensate how warm they actually are. Baffin offer a range of boots designed for polar environments. The removable liner boot is great if your boots get damp as they’ll dry faster than all-in-one options. Sorel also make boots which are a staple on polar expeditions and for arctic travel. Watch out for their ‘fashion’ boots! These may look nice but lack insulation and good grip. Instead go for a model like the Glacier. Salomon Toundra Mid WP. These boots can keep you warm down to -40°C using Aerogels insulation. Ice grip and a waterproof lining plus a comfy heel foam make these a light weight but lower cut option. This needs to be rated to a comfort of -40°C. If you normally ‘sleep cold’ or are a slim lady using a men’s sleeping bag you may need a warmer bag than this (women-specific bags are slightly shorter and narrower so there is less ‘dead space’ around you inside the bag). Invest in a waterproof stuff sack to protect your bag and keep it dry. For travelling, please purchase a compression system if it doesn’t originally come with one (compression dry bags from Sea to Summit are ideal). Alpkit make several expedition standard sleeping bags including the Arctic Dream 1400 which is a great value down-filled sleeping bag. Rab will be more easily available and do a huge range of ‘5 season’ expedition bags – look for the Expedition 1400 for a comfort rating of -40°C. The North Face is another brand to investigate – the Summit Series Inferno -40 bag would be suitable and has a really handy central zip. If you have any questions about suitable expedition equipment or would like advice on hiring or purchasing products, please contact info@secretcompass.com. Expedition team members are eligible for discounts through our partners Cotswold Outdoor, Nordic Life, Expedition Kit Hire and Outdoor Hire, more details and discount codes will be found in your MySC team member area on booking. It is your responsibility to understand the risks associated with adventure travel in remote areas. You also must understand that medical evacuation will take an extended period of time (potentially over 24 hours) and will require wilderness extraction techniques and long carries by stretcher. In-country search and rescue and emergency services are very basic or non-existent and the expedition will rely on internal resources for medical evacuation. By joining this expedition, you accept the risks associated with the venture. If you require any more information on specific risk management for this expedition, or would like to speak to us about our medical planning prior to the trip, please get in touch. The main constituents of the Nenets’ nomads diet is raw, frozen meat and fish. Sometimes raw, sometimes cooked, sometimes on its own. Life in the tundra can be very calorie intensive and as much of their days is spent running around after the reindeer from dawn till dusk, the nomads usually eat at least 5 times a day. Team members will be eating what and when their hosts do, so don’t expect a choice at meals or food on demand. You may want to bring snacks to supplement meals during long days, it would be polite to occasionally offer to share these with your hosts. In town we will be eating well in hotels and local restaurants. Vegetarians or people who will not eat raw fish or meat will need to bring dehydrated ration packs (one per day). These should be of the ‘add boiling water’ variety and you should be aware of the cultural sensitivities of your hosts when mixing and eating them. Coeliacs may also wish to bring their own ration packs as many meals are accompanied by bread and there is no other alternative. Water is in limited supply as it depends on the availability of the water source. You will be able to consume most of your water intake as black tea but it is not unusual to be slightly dehydrated by your normal standards. During the migration days, the Nenets fill up flasks to take on the journey, Secret Compass will provide flasks for these occasions. March is the beginning of the spring in Yamal and temperatures will be somewhere between 0 and -40C. There is also a massive wind chill factor on the tundra from the howling winds blowing down the bay from the Arctic Ocean. We all know that drinking vodka is a favourite Russian past time, and as such our hosts may invite you to drink with them at the end of a hard day’s work around camp or on migration. Teammates are welcome to partake or abstain as they wish. As in most communities, this is at the discretion of each host family and so two teammates staying with different families on the same expedition might have different experiences. It is important to be culturally sensitive, and to remember that some of these communities have been negatively impacted by alcohol. Unless invited by our hosts, we should ourselves refrain from drinking, which will hopefully leave a better impression of westerners and help to reduce any cultural impact on the Nenets communities. For this reason, we do not encourage bringing your own alcohol onto the tundra – our team leader will supply any gifts for the host families, although if you wish to bring any non-alcoholic gifts from home, these are always welcome. This is not a migration on foot or skis so prepare for long journeys over tundra and ice in occasionally cramped or uncomfortable sledges pulled by motorised vehicles. The Nenets ladies will always wear dresses but they will not expect their guests to. Women cannot wear men’s boots. Dress warm, a four-layer system of base layer, mid layer, fleece and down jacket is tried and tested. Essentials and further details can be found in your kit list at the end of this document. You need to organise your own international flights. We have a unique partnership with Student Universe (part of Flight Centre); a specialist team of travel consultants who understand us, our destinations and who have a team dedicated to helping Secret Compass teams. They have a 24-hour assistance helpline and access to the best fares. Fill in a contact form or call (UK) 0844 560 9799 for assistance in booking international flights. You will need to be in Moscow by 1600 Monday 25 March 2019. There are a number of different airlines that fly into Moscow Domodedovo including Emirates, British Airways and Lufthansa. On your return you should arrive into Moscow Domodedovo by 1100 on 10 April – you are free to depart anytime after this although we recommend allowing extra time for flight delays and for re-checking luggage for your international flight. It is advised that you wait for confirmation from Secret Compass that this expedition is a confirmed departure prior to booking your flights, and/ or that your travel insurance covers your flight costs in the event of cancellation or dates change by Secret Compass. See Section 9 of our Terms and Conditions for full information. Please let us know your flight details once booked. Secret Compass will arrange internal flights from Moscow Domodedovo to Salekhard. On the ground we will be travelling mainly on a frozen river surface from Salekhard airport to Yar Sale village in Trekol all-terrain vehicles (which should float should a subsidence occur). The return transfer will follow the same arrangement. The team will travel between the Nomad encampment and Yar Sale village in wooden box sledges pulled behind snow mobiles. Whilst migrating with the Nenets, transport will be on sledges and snowmobiles. Sledge travel can be very cramped – team members might be sitting down, with their knees hunched in front for extended periods of time on bumpy, uneven terrain. Previous team mates have found this to be the most challenging part of the expedition; the physical and mental strain of this unique experience should not be underestimated. Moscow: Domodedovo 4* Airhotel is a modern hotel 500m from the passenger terminal at Domodedovo airport with a free shuttle service. Extra nights can be booked here for outside of the Secret Compass itinerary and they can store luggage if necessary. Yar Sale Village: Comfortable accommodation in twin or triple rooms with shared facilities which will feel luxurious after your time on the tundra. On expedition: Chums (pronounced chooms) – conical reindeer hide tents that are the traditional dwellings of the Nenets nomads. This structure consists of reindeer hides wrapped around a circle of wooden poles, in the centre is a hearth and a smoke hole. When arriving at a new campsite after a migration, the head of a nomadic camp will place his khorei (herding stick) in the ground where he wants the centre of his chum to be and the rest of the group will then set up chums to the left (from behind) with all the entrances facing the same way. You will be split into groups depending on the size of the family group you are staying with and the capacity of their chum, nights may be spent sharing vodka and snuggling down in your sleeping bags and reindeer furs. You may also be sharing the chum with their dogs and any handreared reindeer. Salekhard: A modern hotel close to the airport with twin rooms. Reality of living rough for days. Occasionally people on our expeditions are not prepared for camping for multiple days. Living in these conditions can degrade your health if you do not look after yourself and increase fatigue if you are not used to living rough. You need to be highly organised so that your night and morning routine is done efficiently and quickly. If you are inexperienced at camping, it is essential that you get as much practice as possible prior to the expedition. 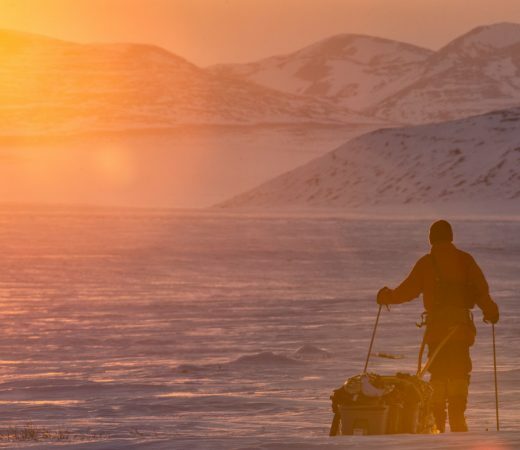 This expedition is going to be particularly tough as you will be living in very different surroundings, eating a different diet and helping the Nenets with key daily tasks in very cold environments. You will be in very safe hands with an experienced western guide who is wilderness first aid trained and has extensive experience of trekking, working and operating in remote environments. 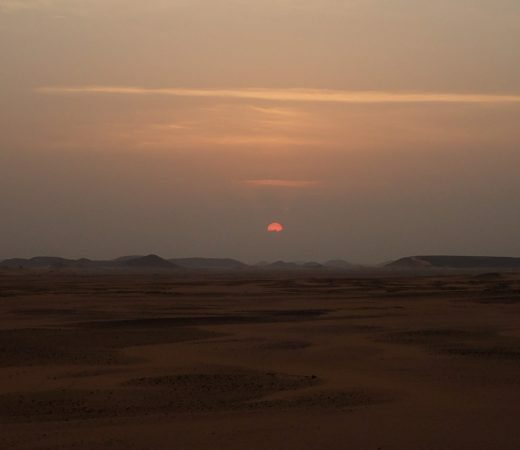 The team will also be accompanied by an interpreter/nomad liaison who will help you to communicate and connect with the Nenet herders. The information below has been provided by our local partners, both to educate team members about the culture in which they will be living, but also to answer the questions many people have about appropriate behaviour and local beliefs amongst the Nenets nomads. In Nenets society, men and women are viewed as equals but completely different. It is widely recognized that a man cannot survive in the tundra without a woman, and that a woman cannot survive without a man. This is because the main aspect of tundra life is constant back-breaking work with no time off, and neither gender could manage the work of two genders. Work is therefore very strictly divided between the genders. 1. Men will go out to the herd, catch a reindeer, bring it back to the chum and kill it. However, the minute it is dead it becomes food for the family, and it is women’s duty to cut it up and preserve the different cuts of meat. 2. Men go out into the tundra to cut trees and bring them back to the chum. Once there it usually becomes women’s work to chop up it into firewood to heat the stove with. 3. When moving camp, men drive single sledges or snowmobiles, herding the reindeer. Women drive long caravans of up to ten sledges connected together, on which the chum and all the family’s possessions and food are loaded. These are a general set of rules, and the majority of the time they are adhered to. However, survival in the tundra is the most important thing, so if there are not enough women for the sledge caravans, a man may drive one, or if the woman is too busy to chop firewood, the man may help out. Likewise, when the man is lassoing reindeer for sledges, the woman may stand nearby, take the reindeer off his hands as soon as he has caught them and lead them to tie to a sledge. She will never, however, use a lasso. That is strictly man’s work. Likewise a man will never sew fur clothing or sew chum covers. In general the woman’s work is to keep her family warm by sewing new bedding, clothes and chum covers as often as possible, heating the chum as often as possible, and being ready at any moment of the day to put a meal and tea on the table as soon as the men ask for it. Neither gender spends much time bringing up children. This is partly because they are kept so busy, but partly because children are supposed to grow up independent and unspoilt by the attention of their parents. Small children are tied to the chum poles by a rope at all times. They live like this until they figure out how to untie the rope themselves, usually around age three. Then they are free to go wherever they want inside or outside the chum. Sometimes on a busy day you will see a small child fall over in the snow and be unable to stand up again due to the weight of their fur clothing. They may spend hours screaming and freezing in the snow, adults just walking by and neither paying attention or helping. This helps the children become self-sufficient and not to rely on others in this harsh environment. It is considered that adults should never play with children, and only help them if they are in very serious need. One major aspect of women’s lives is sya mei. This is a force from the world of birth and death which certain people in this word can be “carriers” of, and which can be very harmful if not respected and if certain rules are broken. People affected by sya mei include anyone connected with birth and death: newborn children, people who have recently been at a funeral, and all post-pubescent women. All these people have a large number of restrictions on them, and have to watch their behaviour very carefully. Women for example are not allowed to touch the sacred sledge, they must not step over or sit on lassos, ropes or harnesses. They must not cross an imaginary line which runs from the central pole in the chum to the sacred pole at the back of the chum and out into the tundra while still in sight of the chum. They cannot visit sacred sites or participate in sacrifices. They must not cut certain fish, cross the tracks of bears which are considered sacred, step over a pregnant dog or remove the womb of a pregnant reindeer that is being cut up for meat for example. It is the lower, birth-giving part of a woman’s body that is affected by sya mei, hence stepping over things is often an important feature of these taboos. Paying attention, you will see Nenets women lifting ropes and harnesses over their heads as they walk around camp every day, whereas men just step over them. Likewise, it is a grave sin and dangerous offence for women to wear men’s reindeer fur boots, but wearing men’s reindeer fur jackets is fine. Women must never step over men lying down in the chum, and must not even hang up their fur boots to dry in the chum as this may result in a man passing under them. There is a special sledge kept outside the chum where women can hang their fur boots if they need to dry them. Sya mei has been incorrectly translated as “uncleanliness” by some Russian anthropologists, and the special sledge outside the chum has been incorrectly named “the filthy sledge” in Russian. This has led outsiders unfamiliar with Nenets culture to think mistakenly that women in Nenets society are inferior. This is not the case. Sya mei is an extremely powerful force, intrinsic to life itself, and represents women’s central role in Nenets life. Shamanism is still practised in parts of the tundra but only in very small groups. Nenets have an animist belief system centred on the local deities that are represented by dolls that they carry on sacred sledges. Several times a season the scared sledge is also anointed with freshly slaughtered reindeer blood, but on the whole the local deities should be left in peace. The Yamal tundra is also covered by a close network of sacred sites (usually to the far north) and the wooden dolls from the sacred sledges are sometimes exchanged in these places. The ancient Nenets ancestral knowledge is kept alive through folklore that is acted out through legends and songs. The Nenets of the Yamal Peninsula are slightly different from other nomadic groups. In the 1930s the Soviet government enforced schooling on the Nenets children. This means that the majority of Nenets children have been educated (at boarding schools away from the camps). However, the Yamal Nenets culture is so strong that many of the young people return to the tundra, taking what they want from mainstream society without letting it affect their cultural identity. They experience both worlds then make a choice, 50% choosing one way of life (nomadism) and 50% the other (a settled life in Yamal Peninsula villages). Those that choose life as a nomad do so because this is the life that they want, not because they have to. Guests will input money directly into the communities, which is then used to buy necessary provisions and tools and increase the size of their reindeer herd. Teammates with dietary requirements are welcome to apply for this expedition and should state their specific requirements when applying. The food situation is outlined in the Practicalities tab. Those unable or unwilling to eat as the Nenets eat may be required to bring their own suitable alternative. Can I ski alongside the reindeer? While skiing is part of the Nenets’ culture – the men sometimes use traditional wooden skis with leather bindings to hunt or to get around the forest – teammates skiing alongside the caravan is not possible. While a given family may have the odd pair of skis that can be tried out, skiing is not a part of this expedition. Will I have to eat raw reindeer? Teammates do not have to eat raw reindeer as the Nenets will, though it is an integral part of their culture. Previous expedition teammates have surprised themselves with even vegetarians becoming so immersed in the experience that they ate (and drank) from freshly killed raw reindeer along with everyone else. As long as cultural sensitivity prevails, teammates can join in or not though it should be remembered that this is intended as a culturally immersive expedition, with everything that entails. Can I hire some kit items in country? It is challenging to hire kit in country. All teammates are advised to procure all necessary kit prior to arrival in Moscow. Secret Compass can advise teammates on hire options but cannot bring kit out to Moscow for teammates. There will be phone signal while in Moscow, at Salekhard and at Yar Sale. Once on migration, expect no reception and if some does fleetingly appear, treat that as a plus. Being happy to escape ‘the outside world’ to become fully immersed in this expedition is a great approach. This will be very challenging with limited access to power. Please ensure that you are self-sufficient in terms of charging your appliances by bringing things like spare batteries or power packs to avoid frustration. Battery life is a challenge in very cold climates such as Siberia’s Arctic Circle! If camera or phone battery life is of paramount importance, research the best ways to protect and keep your batteries warm and come equipped accordingly. As The Plan outlines, there is a complex chain of transport to get teammates out to the Nenets and so start and end dates are not flexible. It’s Russia. Will there be vodka? At the end of a hard day’s work around camp or on migration, some Nenets families indulge in that classic Russian activity – vodka drinking. Teammates are welcome to partake or abstain – indeed the toasts might even be in their honour. As in any community, such activity is family dependant and so two teammates staying with different families on the same expedition might have different experiences. In order to be respectful to the families we stay with, any drinking should be initiated by the hosts and therefore we ask team members to not bring their own booze on to the tundra. This is honest nomadic life after all, with all the variations found in any extended family unit or small community.